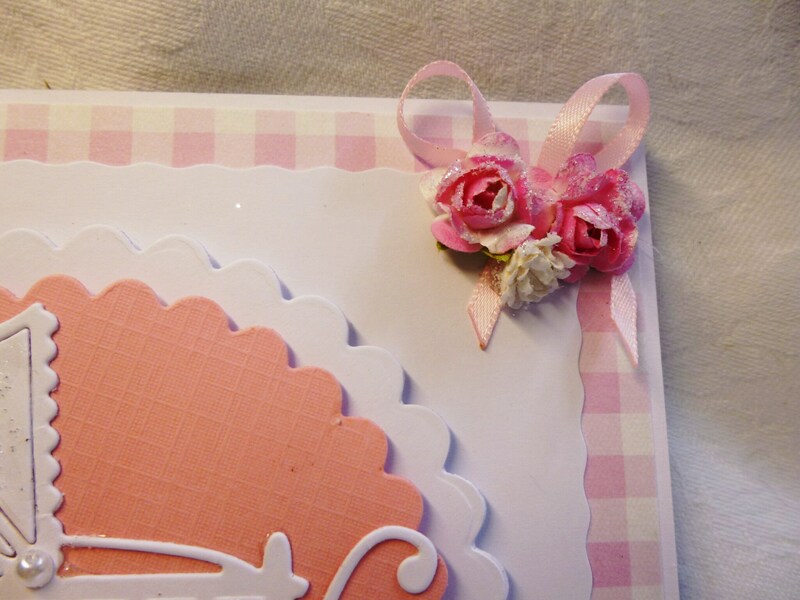 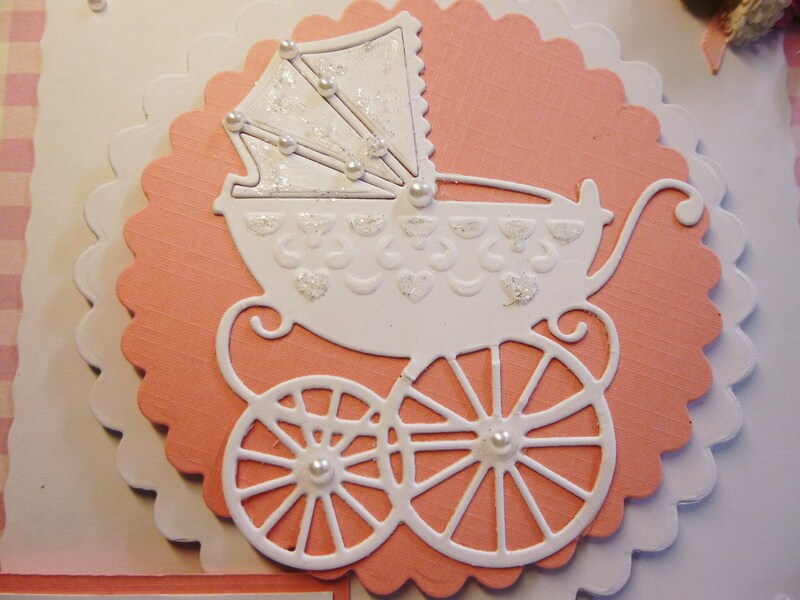 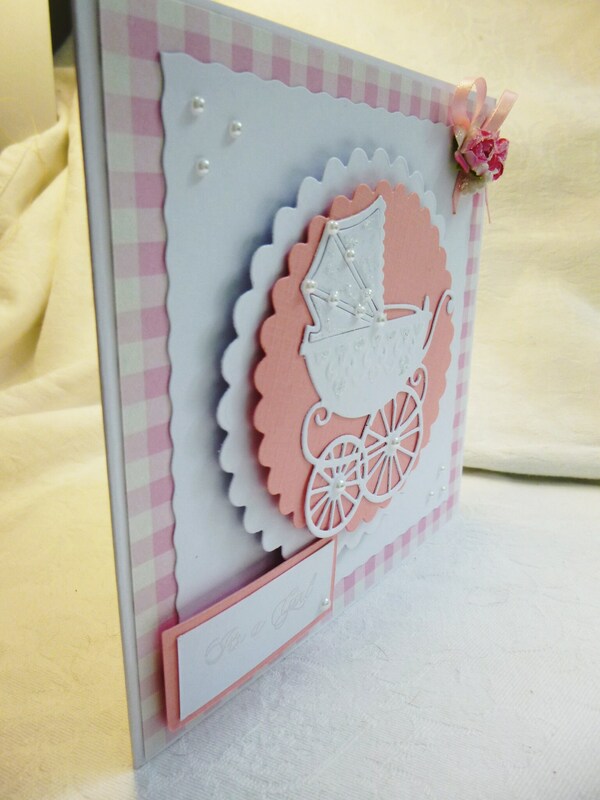 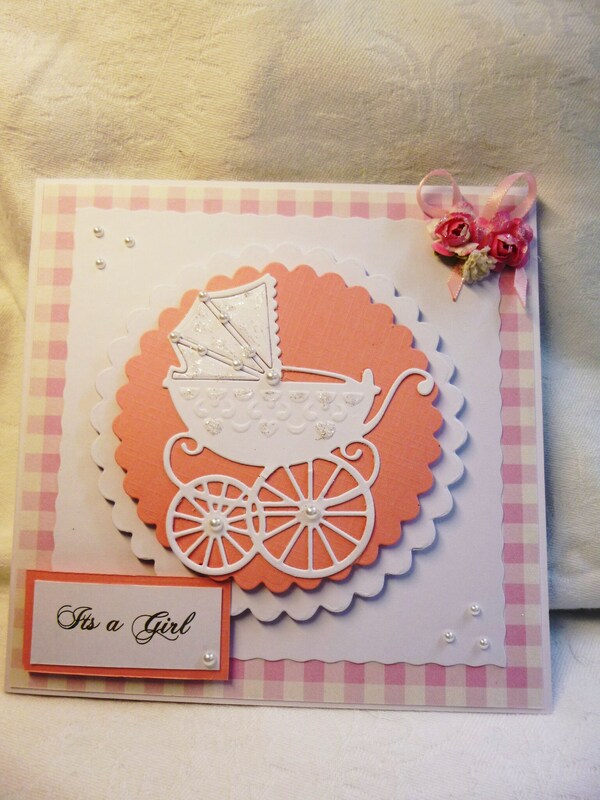 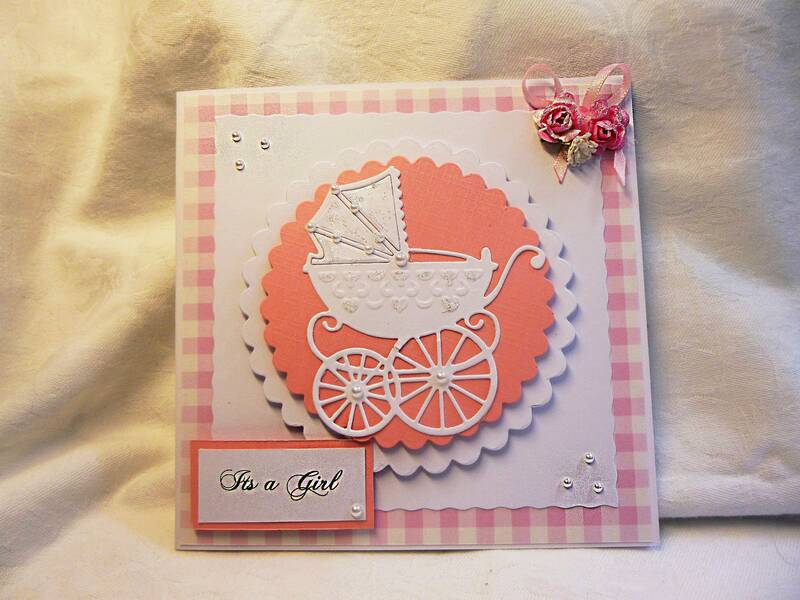 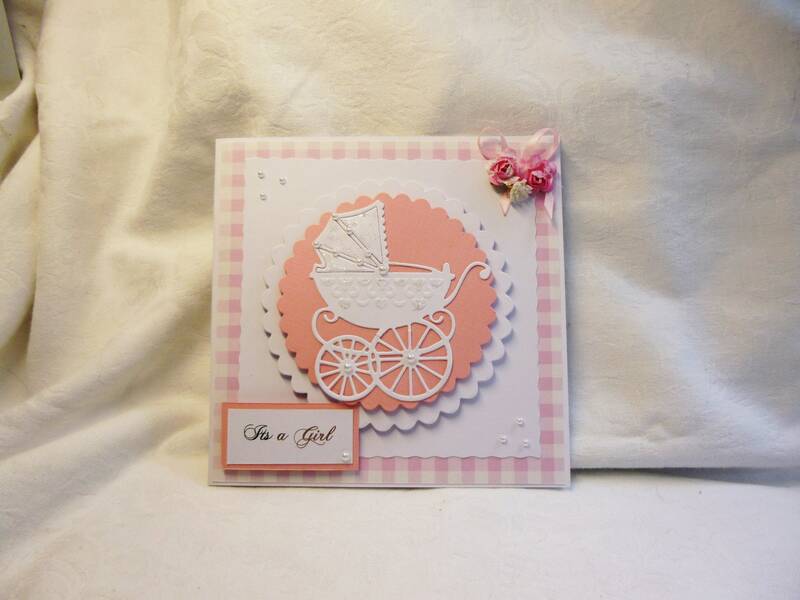 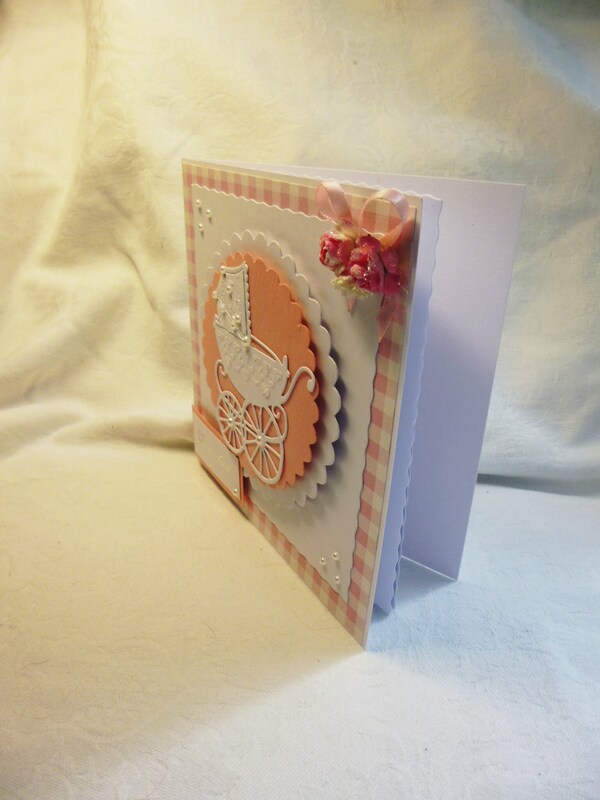 A lovely card for a new arrival made from white base card and layered with pink and white check card, two scalloped edge circles in the centre of the card one white the other pink with a die cut of a pram in the centre, with glitter and pearl embellishments on the pram, in the top right hand corner is a small floral arrangement with a small pink bow. 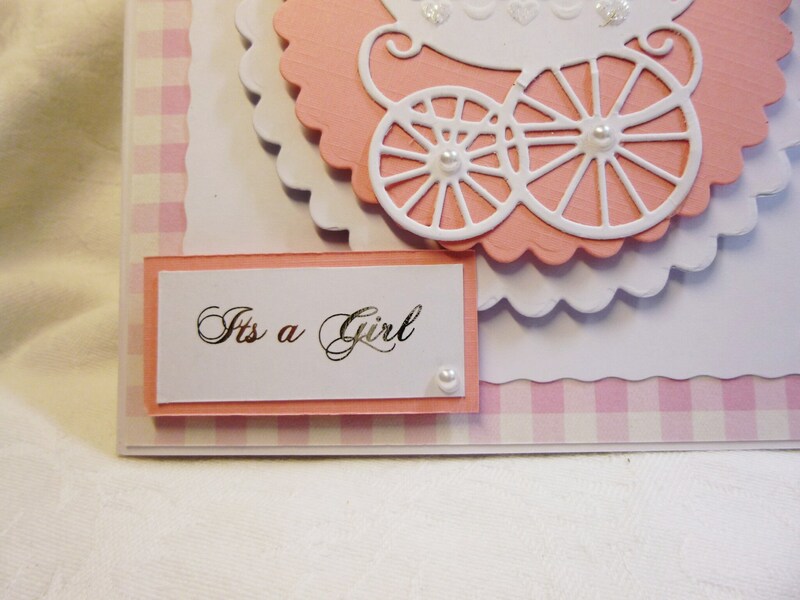 In the bottom left hand corner is a sentiment which says,'It's A Girl'. 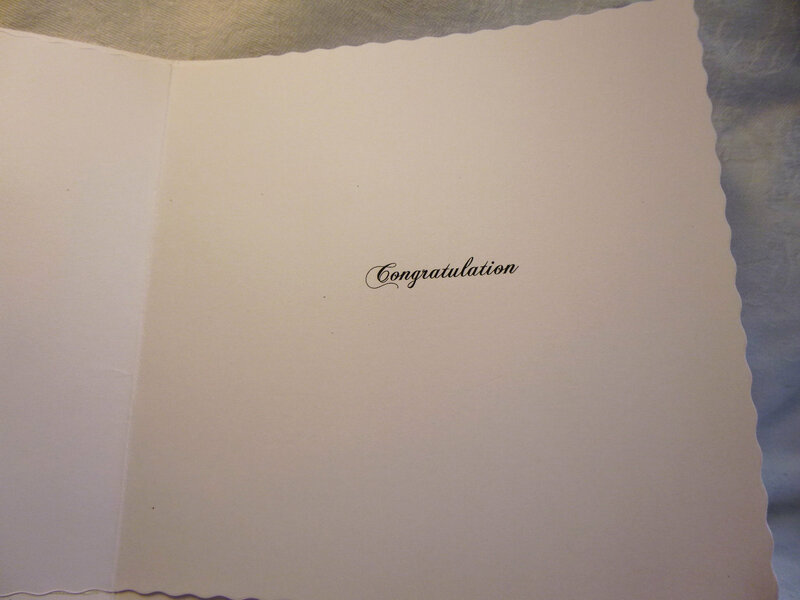 Inside the card is white insert paper with the word Congratulations.